Red Dead Redemption 2 is the latest game and a masterpiece by Rockstar Games. The western style action adventure game, Red Dead Redemption is without a doubt a game of Decade with the metacritics rating 97%. In my history of played games, The Last of Us was the only game which stayed at the top since 2013 in terms of narrative, character development, music, gameplay and other aspects. After playing for more than 65 hours and beating RDR 2 It was difficult to realize that it was just a game. Arthur Morgan is the first character who was portrayed as best as it can be, he is the most developed character I have ever encountered in a video game. The world of Red Dead Redemption 2 was not alive and yet at the same time, it felt more alive than the real world. The random encounters, characters whether NPC or Main, Graphics, Gameplay, Narrative, Music anything you point out of Red Dead Redemption 2, it was a beautifully done and indeed deserved to be called a masterpiece. Even after being a perfect game Red Dead Redemption 2 had some flaws in the online version of the game. Red Dead Redemption 2 Online offers very less money as a reward of completing missions and thus many players are being angry about it, even calling it a scheme to promote micro-transactions. I personally don't think that Rockstar Games would intentionally do such a thing. 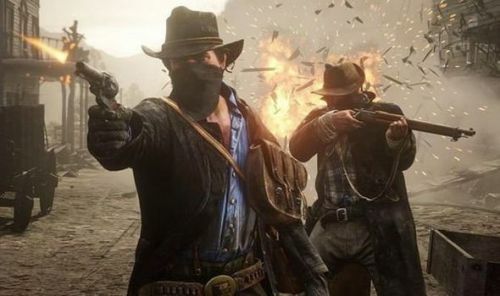 Red Dead Redemption 2 is still in beta stages and we have seen the developers tweaked the reward management system which increased the previous rewards provided by completing missions. Until the beta stages are over and the online version gets a final release we should play the game and provide positive criticism which will help the developers to improve the game. Red Dead Online: Twitter reacts to Rockstar's "update"